Ned Dodington is a licensed architect and designer working to develop new practices for biologically inclusive design. He is the Founding Editor and Creative Director of The Expanded Environment, a web-based investigation into the performative role of design in ecology. 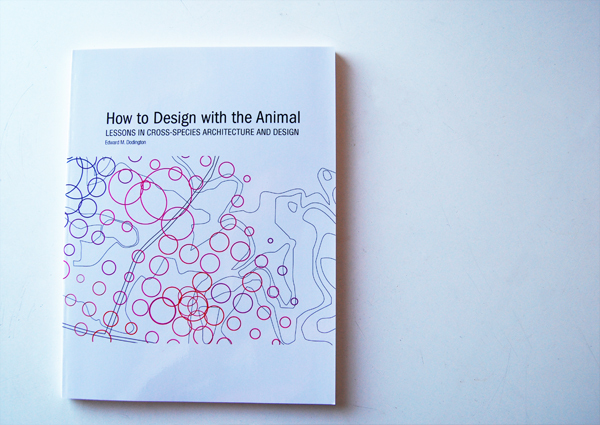 His design research and writings have been published in Architectural Design Magazine, Brkt-On Farming, Brkt -Goes Soft, the ACSA 2013 yearly conference proceedings “New Constellations/New Ecologies”, Texas Architect Magazine, the Columbia University GSAP yearly student review, as well as extensively online at expandedenvironment.org. He has written for The Architectural League in New York, Manifold Magazine, Arts and Culture Magazine, and the Houstonist. His speaking engagements include public talks at the Architecture Center Houston, Syracuse University, HCC, and TEDx Houston. His built work, including an IV-drip supported hanging garden, has been shown in solo and group shows at the Lawndale Art Center Houston, Russ Pitman Park, and in Minnesota; he’s been awarded the Technos international traveling fellowship, the Mitchel Travel Fellowship, an RDA Houston Initiative Grant and Presidential Citation for civic work from the AIA, Houston and has been named one of six Emerging Leaders for 2013 by The Design Futures Council. Jon LaRocca, AIA, is a founding partner of The Expanded Environment. Jonathon LaRocca received his Masters of Architecture degree from Rice University in 2007. He completed his undergraduate education at Cornell University in 2003, earning a Bachelor of Science in Design & Environmental Analysis. He was a 2006 Margaret Everson Fossi Fellowship and 2007 Rice Design Alliance Initiatives for Houston Grant recipient, and spent time traveling to Australian urban farms for research as part of those awards. As a designer, he is committed to using a broad-based and diverse set of social science and design methodologies to understand how the planning, design, and management of the built environment affects individuals, groups, organizations, and communities, and how this knowledge can feed the imagination to generate innovative design solutions to pressing social and cultural issues. Through his work on sustainable design and development, he is also committed to examining and developing designs that contribute to the health of the environment as well as those inhabiting it. Jessica Dodington holds a Masters in Art Leadership from the University of Houston and has nearly a decade of development experience in the non-profit world. But more than a development officer, Jessica is also a trained dancer, actor and Vinyasa yoga instructor. Jessica strives for light-heartedness and authenticity in all that she does – hoping to guide those around her toward a richer, healthier, happier life. When not performing her role at ExEn Jessica can be found overseeing grants and membership outreach for Aurora Picture Show, teaching yoga, or spending time with her daughter and cat.